I have found a new love and I’m not afraid to say it. 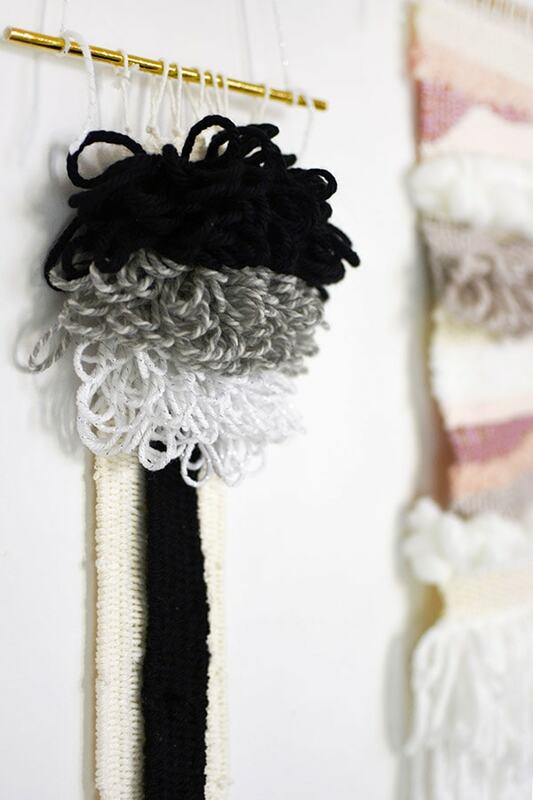 I have jumped on the wall weaving band wagon and I really like where it is taking me! Check out the two Creative Wall Weavings I have done so far. Here is the thing. 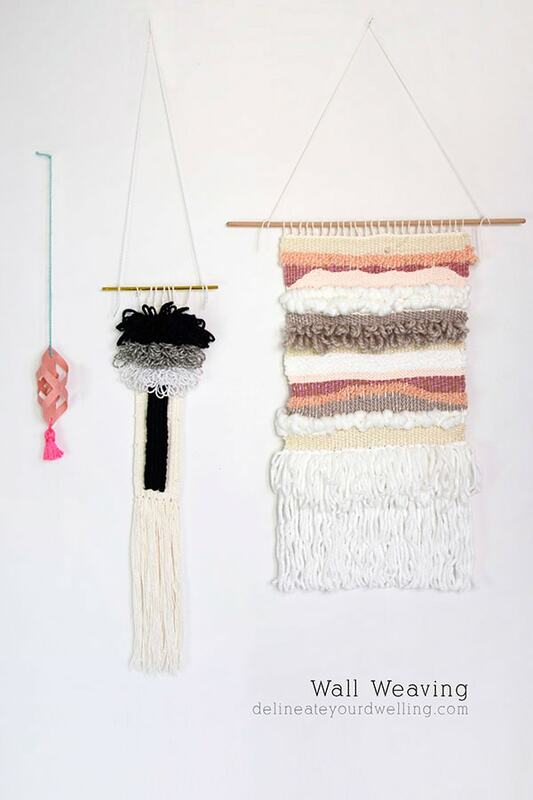 For months I have been searching and searching all over for a gorgeous wall weaving but I could never quite find the right one for my style AND price range. 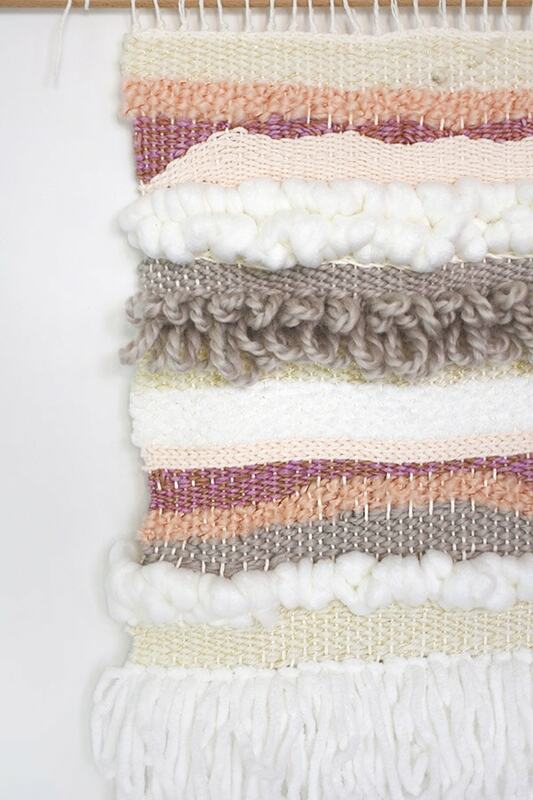 Then, while already following, Lindsey of Hello Hydrangea on IG, I noticed she offered a beginners ebook on weaving. THEN I REALIZED IT WAS ONLY $30 FOR THE BEGINNER COURSE. I kind of went crazy, bought all the supplies and immediately did 8 Instagram Stories about how everyone needed to do the same. I’m not getting a thing for my rave reviews of Hello Hydrangea’s course, other than the joy of passing along information for a seriously well done e-guide. I could not believe after reading Lindsey’s e-guide once that I was able to make the weavings that I did!! 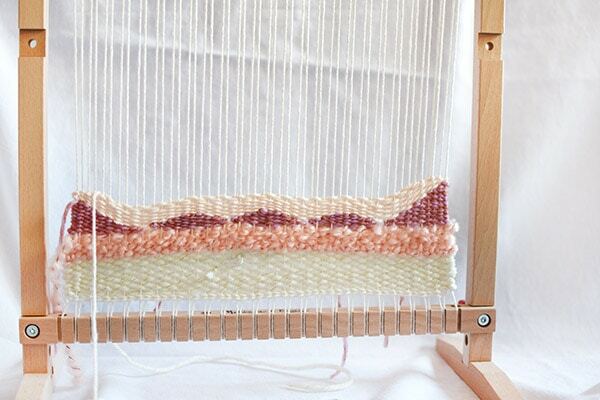 In the e-guide, she goes over the basics for things like warping your loom. I love that she describes it in words and then there are associated videos to each section. It really is so so helpful. On my first weaving, I tried each of the types of stitches that Lindsey shares in the beginner course. I like the end product, but it looked a little random to me… so I quickly decided to make another one that I put a bit more thought into the design. Another thing I really appreciated about the beginner course was that Lindsey didn’t recommend going out and buying $300 in supplies! She said using this very simple (it’s actually a kid’s loom) wooden loom was great for starting off with weaving. And then she said this particular cotton yarn was wonderful for the basis of your weaving. I was so thrilled with how many variations of stitches were available in her beginner course. Just below is six DIFFERENT types of stitches! 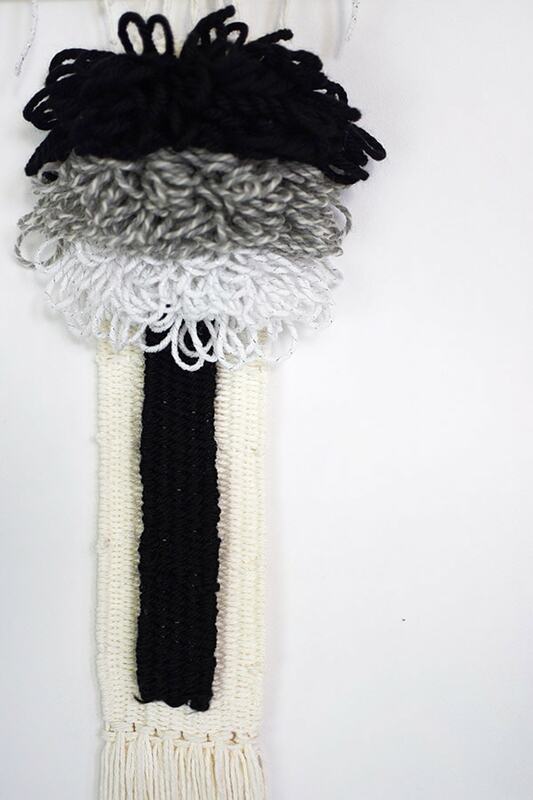 This black, gray and white more narrow wall weaving is the second weaving I attempted and I was thrilled with it’s outcome! I don’t often craft for pleasure, but I can tell already that weaving might be something I start doing here and there in the evenings. I like it so much better than knitting, which I attempted a bit last year. 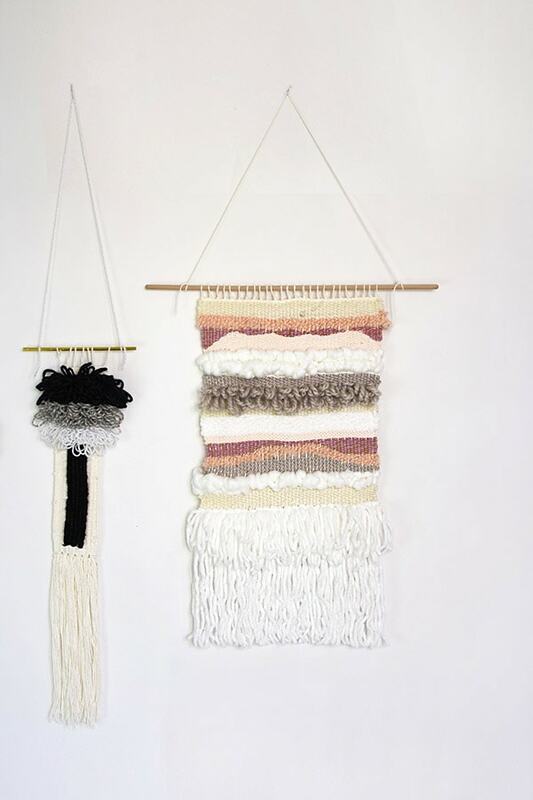 And… because I really loved the process of weaving, I have decided that on occasion I am going to make a wall weaving and make it available for purchase in my Etsy shop!! Be sure to follow me on Instagram, as that is where I will announce when new weavings are live. 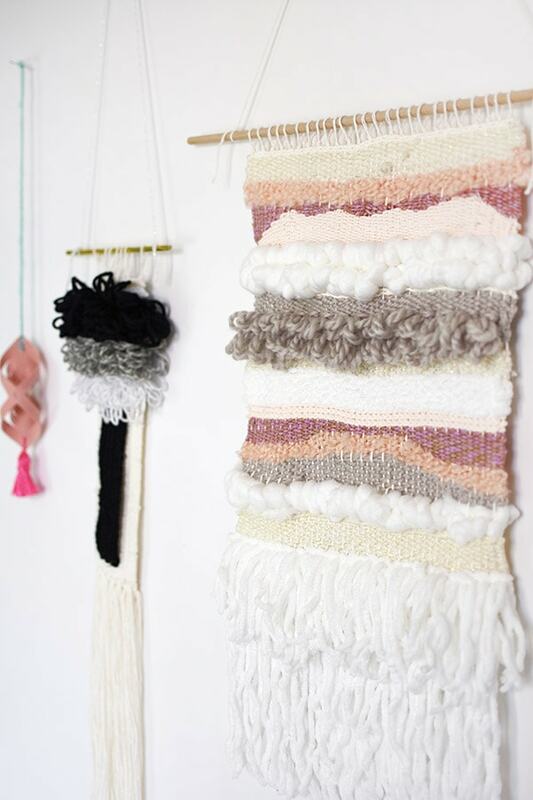 DOn’t you just love weaving?! My 10 year old and I love to do it together. Aw, so fun!! My daughter is almost 7 and she keeps begging to use my loom. So far she’s just been doing finger weaving, but I love it all. Thank you, Haeley! I actually have the same Martha loom… and also have never opened it, ha. 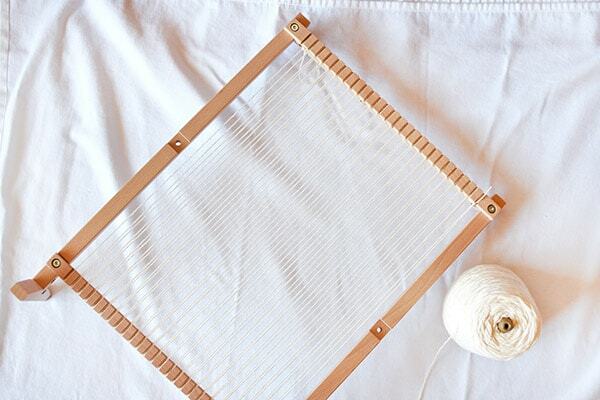 I really found Hello Hydrandea’s guide very helpful and I love the simple wooden loom she recommended. 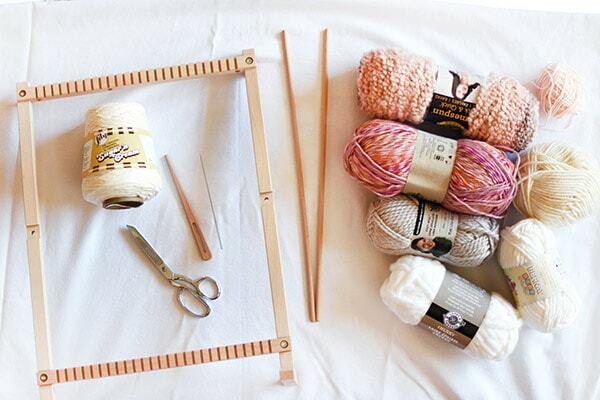 You should definitely give it a try – I never just craft for enjoyment anymore and this feels enjoyable to me!